Hino Hiring Event 3/12/19 @ AJC on Angelus St. Comments Off on Hino Hiring Event 3/12/19 @ AJC on Angelus St. Provides training assistance, validation, and mentorship to Repair Tech 1 and Repair Tech 2. Submits a cover letter or essay explaining how they will successfully apply their skills and qualifications to efficiently diagnose and repair product. 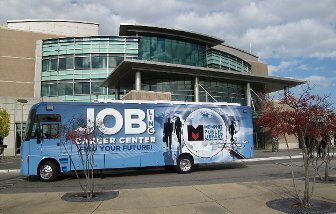 DIVERSITY CAREER FAIR at Walnut Grove Road American Job Center- March 27th 10A.M.-1 P.M. The Onin Staffing Team will be available at the event to discuss the open positions. As a reminder, please be engaged, ask questions and dress for success. Computer Repair #763167…….Numerous openings $13.50- $17.50 per hour depending on experience. Comments Off on DIVERSITY CAREER FAIR at Walnut Grove Road American Job Center- March 27th 10A.M.-1 P.M.
Description/Comment: Duties may include auditing, counting, recording, verifying information and scanning packages to assist in Hub Operations. May operate control panel or belt diverters to maintain proper package distribution. Duties also may include typing, data entry, distributing mail, filing and answering phones. If you are qualified and interested in making a change or know of a friend who might have the required qualifications, please call me ASAP at (703) 340-2870 Ext.350, even if we have spoken recently about a different position. If you do respond via e-mail please include a daytime phone number so I can reach you. In considering candidates, time is of the essence, so please respond ASAP. Thank you.